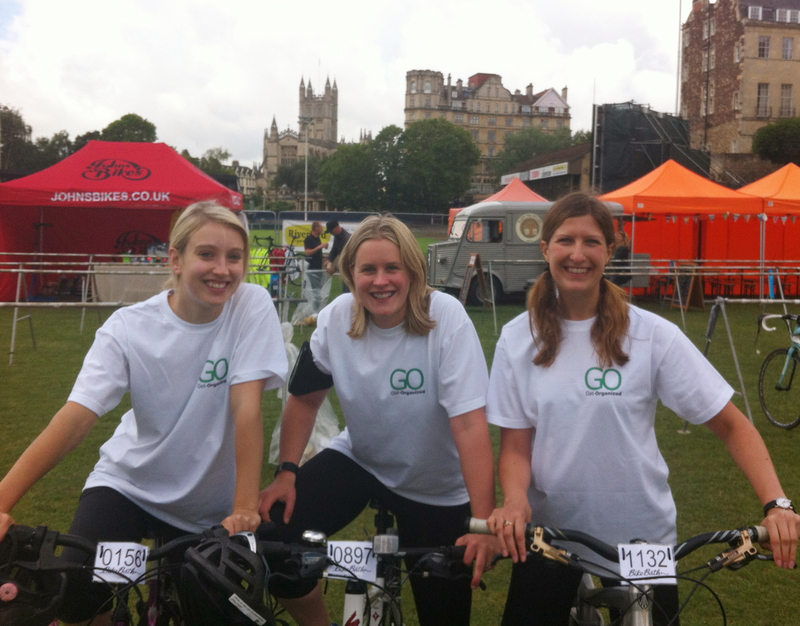 Get-Organized entered a small team into the Bath Bike event at the weekend. We completed the 20 miles on the Saturday morning. It went well, and we hope to come back next year and tackle a slightly larger amount of miles (padded shorts required!). 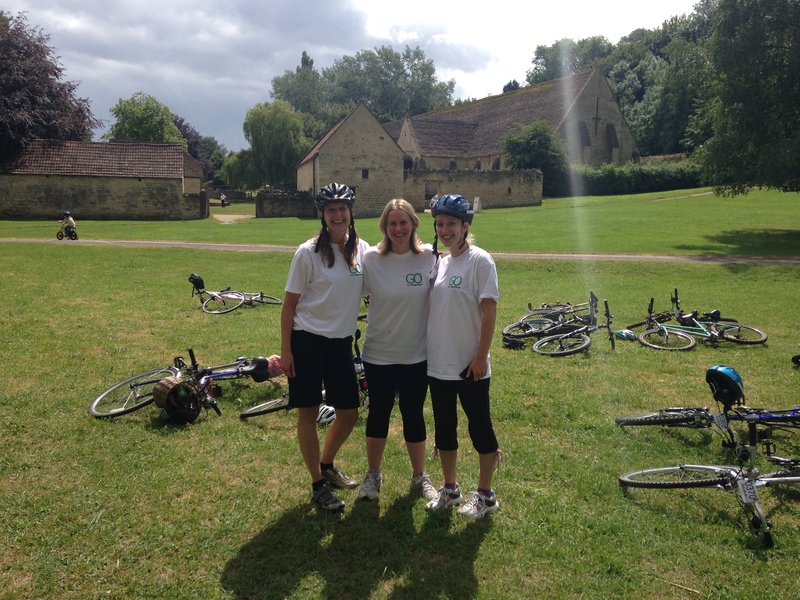 We had a great time on the way to Bradford on Avon, the sun was shining and all was lovely. However, shortly after leaving – we got hit by the biggest thunderstorm ever! We sheltered under a tree for short while, but soon found that to be unsuccessful. We pedalled as hard as we could and came to Avoncliff, where we were forced to sit and wait out the storm in the pub! Consuming a hot chocolate (you may be surprised to know). We were freezing and our trainers were filled to the top with rain. 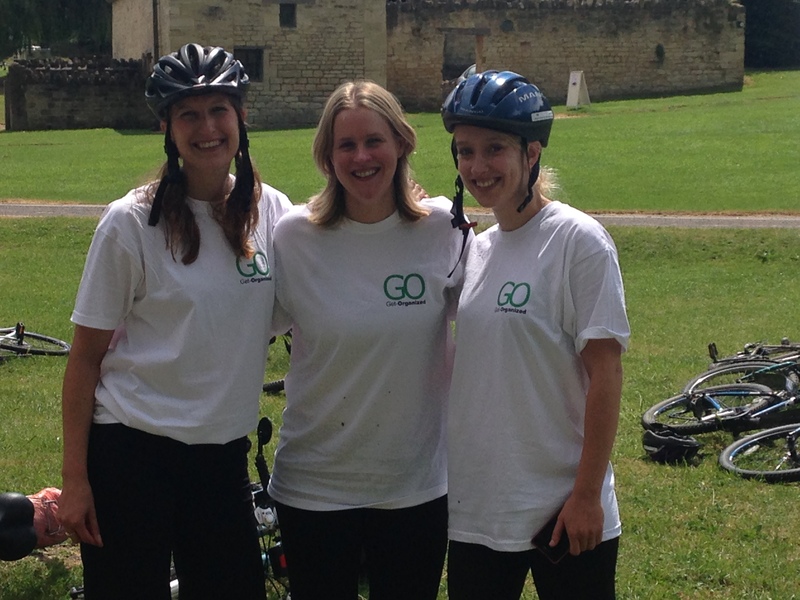 Finally, it stopped and we made our way back to Bath to complete – even having to stop and fix a broken bike chain (GO team!). Despite all – it was an adventure that we loved. 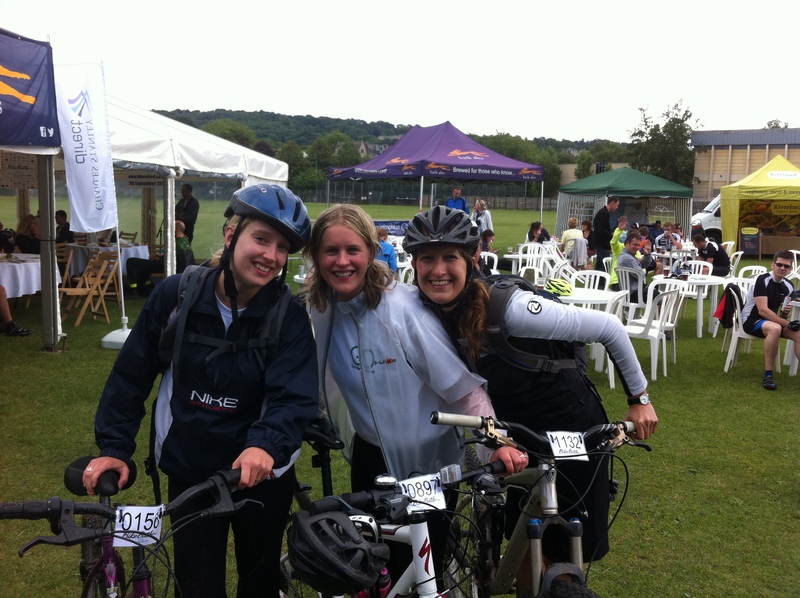 Thanks to Bike Bath and all who organised it. We will return!! What a glorious day – or so we thought! Get-Organized finish the race finally!